Our digital platform provides business intelligence, optimisation and automation. Initially this was targeted at airports, business parks and hospital fleet operations. It is also a transferrable solution to other industries. It is particularly suited to those organisations going through digital transformation and want to utilse AI to gain actionable insights from the data they generate to optimise operations. We initially focused on automating and optimising ground transport fleets and operations either driven or driverless for the worlds largest airports. This has led to improved asset management, operational excellence and digital transformation across the entire business. 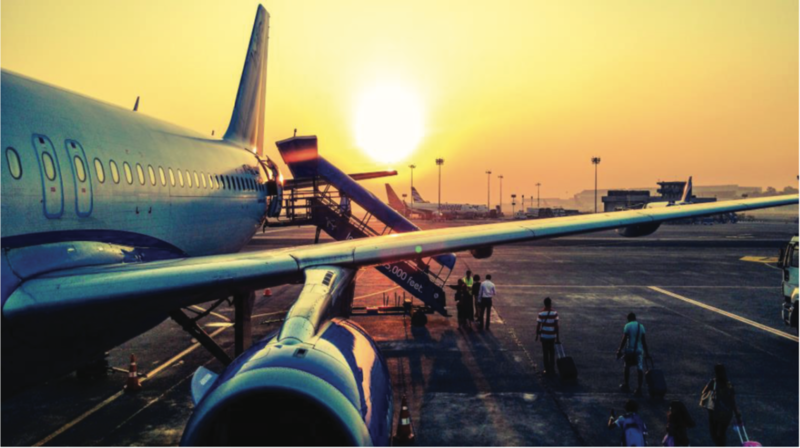 Key performance metrics such as aircraft turnaround times, passenger experience and supply chain management have improved, with benefits estimated between 15 and 30%. Our ConICAV™ platform is empowered by ConOPTIUM™ , a powerful multi-dimensional optimisation algorithm that utilises Big Data from a variety of disparate sources along with Machine Learning to gain insights to predicting when and where your fleet or assets need to be deployed taking into consideration multiple complex & conflicting objectives in real time based on airport site owners’ priorities at any given time while considering external real-time factors such as strong winds or other disruptions. ConICAV™and ConOPTIUM™ proprietary architecture is the only technology capable of combining optimisation and automation with a near infinite amount of objectives at the same time and is currently used to optimise aircraft trajectories and FTSE 250 supply chains. One of the worlds UK’s largest producer of low-carbon electricity and supplier of electricity in the UK wanted to invest in wind farms. 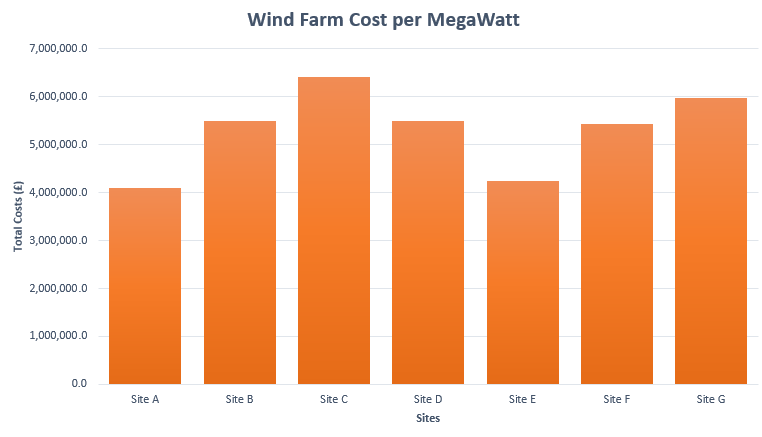 They wanted to know what site they should invest in, the cost of building and operating the Wind farm and optimal layout of turbines. An 8 objective optimisation algorithm taking into consideration many operational constraints, at 17 sites, optimal layouts and a economic sensitivity analysis. A detailed report comprising of a breakdown of all the given sites and the associated costs of developing an optimally laid WF. The Costs of the deployments ranged from £1.6 BN to £1.8 BN across the 17 sites analysed. 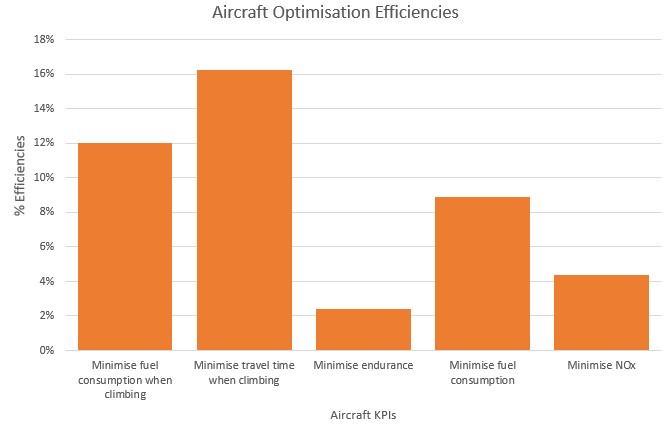 Using a multi objective optimisation algorithm to take into consideration many operational constraints to reduce fuel and travel times costs. The algorithm found the optimal routes between Heathrow to Schiphol, creating cost savings off.